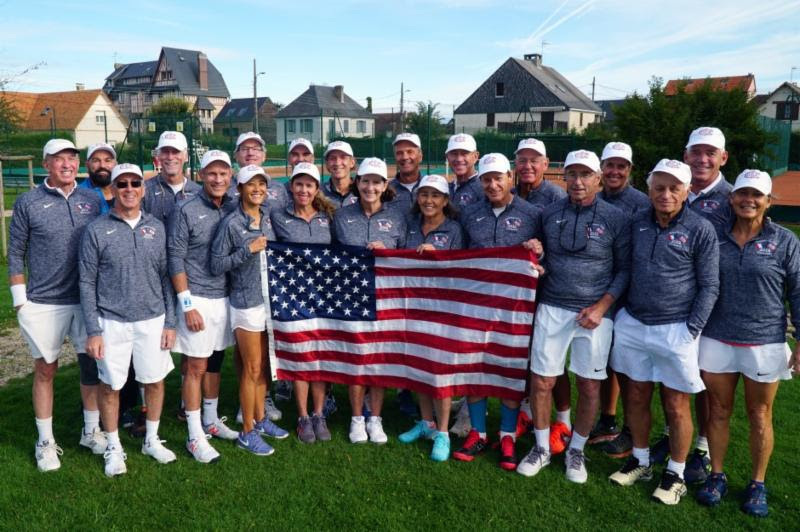 NORMANDY - Captains Erika Smith and Charles Hoeveler led Team USA to an 18-12 victory over Team France to bring home the Presidents' Cup for a fourth consecutive championship. 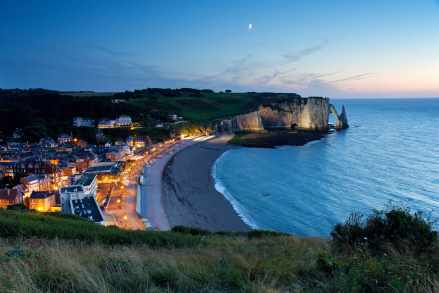 From September 6 - 9, members from the French IC and USIC faced off at both the Garden Club in Cabourg and at Villers-sur-Mer Tennis Club in Villers-sur-Mer, Normandy, France. The Presidents' Cup is a biennial competition created to honor the late Robert "Bobby" Abdesselam and Eugene "Gene" Scott, longtime presidents of the French IC and USIC, respectively. It was last held at La Jolla Beach and Tennis Club in La Jolla, California, in 2016. This year marked the 7th Presidents' Cup and was hosted by French team captain Bruno Renoult. The two teams met for dinner on Thursday, followed by a trip on Friday arranged by the French IC for a visit to the beaches of Normandy, a moving and memorable day for all involved. Competition followed on Saturday and Sunday, with the US leading France 13-10 at the end of the first day of play. Team USA expanded its lead on Sunday, winning 18-12 overall. The women's team included USIC members Andrea Barnes, Linda Bucklin, Carolyn Nichols and captain Erika Smith. The men's team included USIC members Brent Abel, Joseph Bachmann, Brian Cheney, Geoff Cykman, Bob Litwin, Armistead Neely, Les Nicholson, Jeffrey Snow, Mike Tammen, Robert Van Malder, Skip Walther, Paul Wulf, and captain Charles Hoeveler. The next Presidents' Cup will be held in 2020 in the United States.